„After women, flowers are the most divine God's creation!“, is one of Christian Dior's best known sentences. He dedicated his life to designing magical gowns that symbolizes elegance and luxury, but he didn't miss one moment to admire the flowers and he often sought inspiration in those tender, colorful and fragrant God's masterpieces. I'm a person who equally adore flowers and it never cease to fascinate me how perfect particular blooms are and how they emanates with majestic grace and beauty. 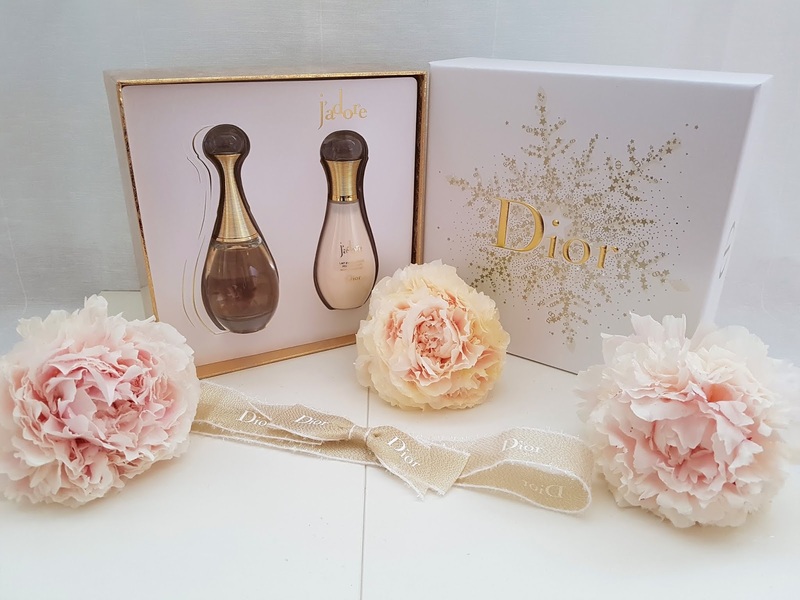 For me, it's always special to receive flowers, but there's a perfume that represents bottled bouquet and for which it's said that if you bestow it to someone, as if you've given them a marvelous floral arrangement, and that perfume is Dior J'adore. I bought it in a Christmas gift set and it came in an impressive box with golden details and bow. The story between Dior fashion house and gold is quite interesting. Jean Cocteau once stated that Dior is a genius of our time, whose magical name points at God (Dieu) and gold (Or), which would mean that Dior is God's gold. That’s why this noble metal is a main feature of house Dior. Likewise the perfume, from the sensuously and femininely curvaceous bottle in the shape of legendary amphora devised by Christian Dior himself and whose upper part is decorated with famous Masai necklace, to the liquid within, is absolutely inwrought by gold. J’adore orchestrates a bewitching symphony of scents and conjoin the most beautiful flowers from all over the world: green and exotic notes of ylang-ylang, delicate and refined roses of Turkey and Damascus, apricot and fruity jam tones of Grasse jasmine, Indian Sambac jasmine with warm aspects of orange blossom and Indian tuberose in all its white exuberance. It’s a composition that synthesizes contrasts, transforming the iconic peculiarity of flowers into an alluring, unique and mysteriously harmonic unity. 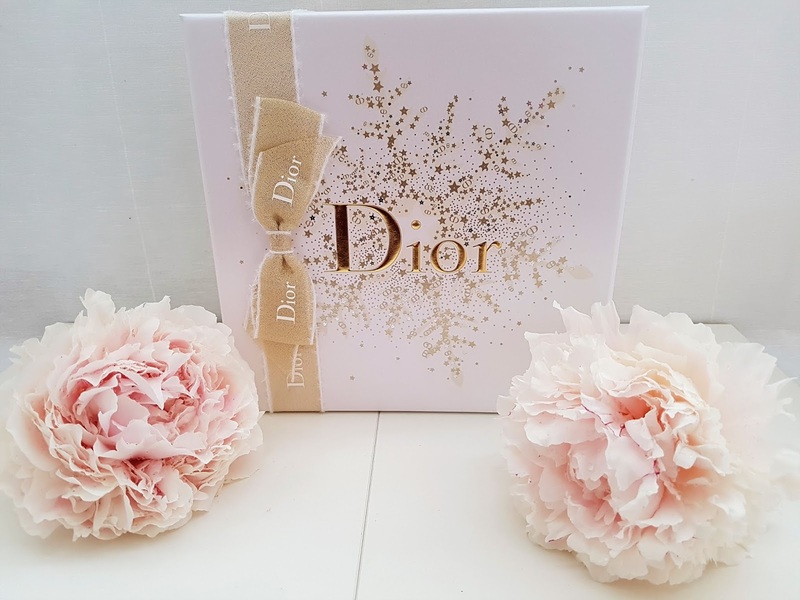 Dior J’adore mirrors a fairytale, fantastic, almost surreal posy and is named after the phrase used by the French when they wish to express their joyful contentment regarding something exquisite. It reveals itself as an extraordinary fragrance which without any effort succeeds in being seductive, sensual, feminine and passionate, but not arrogant or braggadocious. Along with the perfume I got the beautifying body milk. This light emulsion of mild lactic texture is enriched with cotton nectars and a jasmine blossom extract that hydrates and improves the skin tonus. The milk is aromatized with the magnificent scent of the perfume which is persistent for hours and sometimes I can smell it on my clothing even after a couple of days. I like to use these two products together, first applying body milk and than the perfume, when I have the feeling like I’m embowered in a gentle, golden, fragrant J’adore cloak that follows me for the entire day. 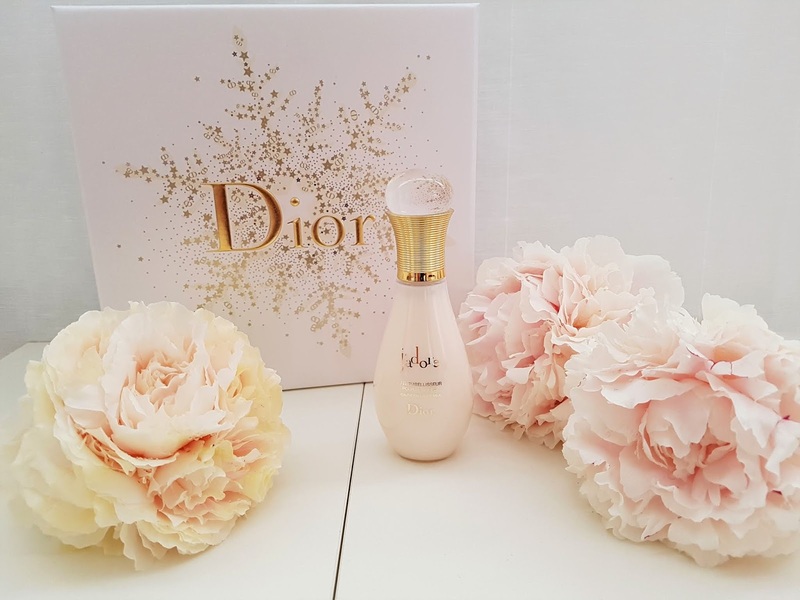 Christian Dior also said that perfume delineates a woman far better than her penmanship, and with this one you will definitely draw a significant attention. The allegorical gold of house Dior has engraved its shining seal in J’adore Eau de Parfum, it is embroidered in the exclusive form of a bottle and an incredible scent that is a kind of invitation to the delight of all the senses. Have you tried Dior J’adore perfume? What are your impressions? Write me in the comments. Such a pretty box! I love J'adore - it smells divine. I have it in my rotation of favorite perfumes. Fantastic review, lovely! Thank you so much for your kind words, dear! I'm happy to hear that J'adore is one of your favorite fragrances. Because it is also one of mine favorite! I completely agree with you that smells divine! 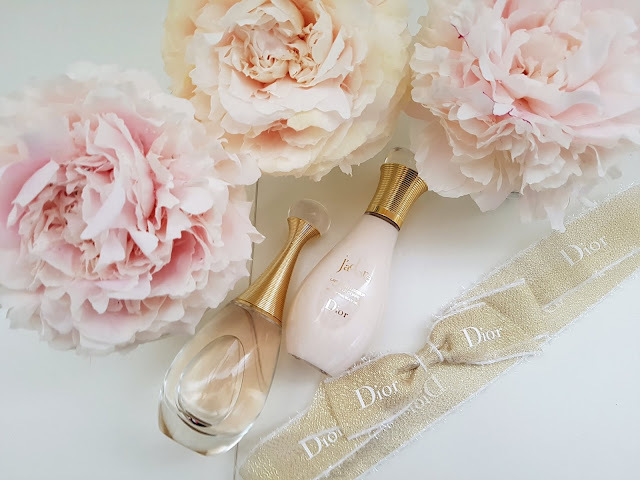 Dior's fragrances always smell absolutely divine and oh my gosh these glass bottles are a dream! I completely agree with you! These amphora bottles looks so beautiful and elegant as well as fragrance inside. It is absolutely gorgeous! I adore it! Dior was a smart man. I adore flowers too. They are a great place to search for inspiration. Lovely review. This perfume seems great, I'm always hearing great things about it. We share same love for flowers. I also adore it and sometimes can spent hours looking it! You hear only good things about this fragrance because it is absolutely amazing. I'm happy to hear that you like this review! This look and sounds like a wonderful fragrance! Love this set and the bottle is stunning. you are completely right! This fragrance is divine from bottle to the fragrance inside! I also adore this gift set! We share same love for Dior fragrances! I also adore them! never tried anything from Dior! You are completely right! This fragrance and body milk are gorgeous! Wish you beautiful new day! I'm happy to hear that! I also really love this set! I'm happy to hear that you love Dior J'adore fragrance because it is one of my favorite! Bottle of this fragrance is divine, elegant and unique - little piece of art! I like combine body milk and perfume because scent is more intense and long lasting. I'm happy to hear that you spent your weekend celebrating Australia day! I hope so that you have amazing time. I'm happy to hear that we share same love for Dior! I also really love fragrances, skin care and make up products! What a beautiful set (Valentine's Day gift maybe?). I love the sound of the body milk - I've never tried J'Adore but would love to. Thanks so much for the review! You are welcome, dear Ruth! This set I got for Christmas, but can be perfect gift for Valentine's Day. When you try Dior J'Adore I would like to hear your impressions and do you like this fragrance as much as I do. Love this video, great review. Thank you so much! I'm happy to hear that you like review and video! That mean a lot to me and I really appreciate it! You are welcome, dear Mina! You are welcome, dear Erica! I'm glad to hear that you like scent, because I also adore it! This is one of mine favorite fragrances and bottle is so elegant and divine! Love the photos - sounds like such an amazing fragrance. Thank you so much! I'm happy to hear that you love photos. That mean a lot to me! This fragrance is really gorgeous from bottle to the scent! Huumm, looks a great perfum! Dior J'Adore is amazing fragrance from bottle to the scent! We share same opinion about Dior! 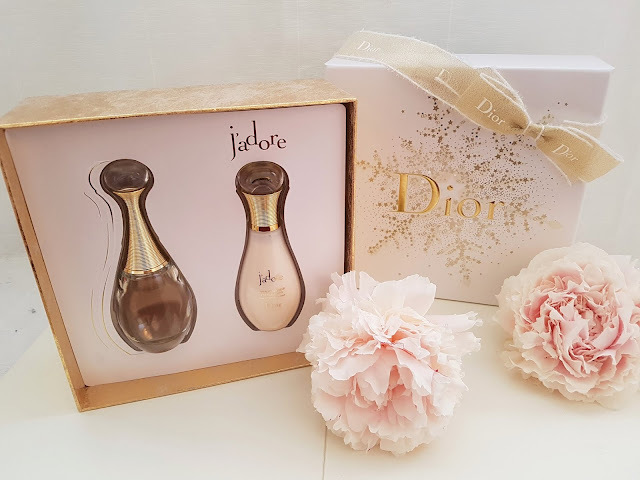 I'm also huge fan of this gift set as well as shape of J'Adore bottle because it is so elegant and divine! You always find the most beautiful scents! I love the perfume bottle and the body milk sounds lovely too. This would be a great gift to give! Dear Kara, thank you so much for your beautiful words! I adore fragrances and always searching for new scent! I'm happy to hear that you like perfume bottle! It is very elegant and gorgeous and you are completely right! J'adore is perfect gift! I'm happy to hear that we share same love for this fragrance because I also adore it! Such a beautiful set, I love Dior! I'm glad to hear that you love Dior because I'm also huge fan of fragrances, make up and skin care products from that brand! This set is really amazing! I love Dior! Great review! Thank you so much for your beautiful words! They mean a lot to me and I really appreciate it! 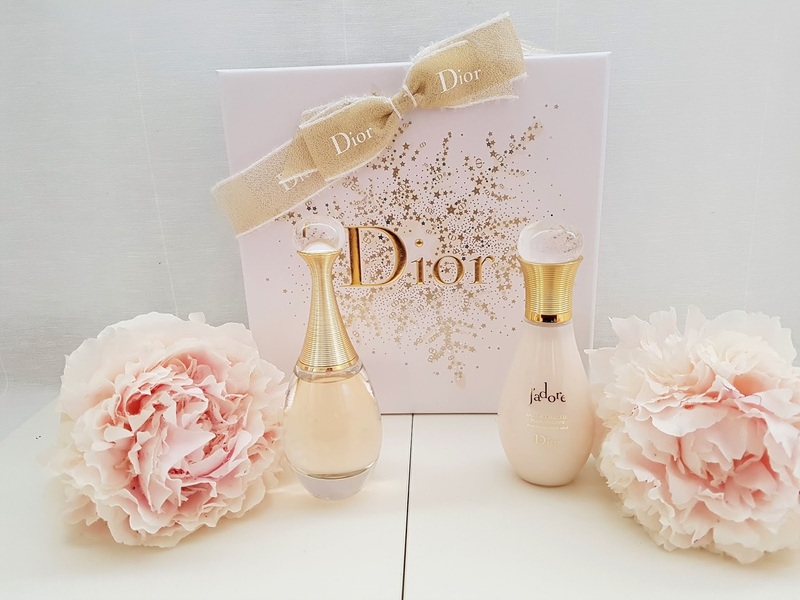 We share same love for Dior because I adore all products from it! This is one of my all time favourite perfumes!!! I'm happy to hear that because this is also one of my favorite fragrances! It is elegant, timeless and gorgeous! Love Dior! And the packaging of this is beautiful! When I saw this packaging it was love at first sight because it is so elegant, luxurious and divine! This look so amazing. It will make a great valentine's day gift too. You are completely right! J'adore is perfect gift for Valentine's day! This parfum is so good! We share same opinion about this fragrance! I think that it is amazing and adore it! 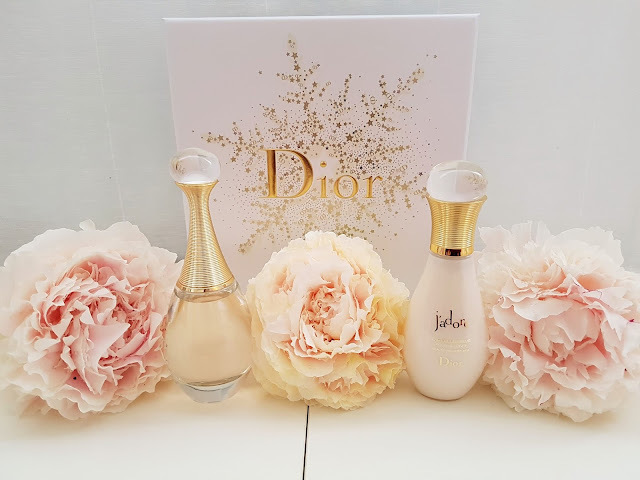 What a beautiful Dior product! The box is so pretty! Everything about this is so elegant! When I saw box it was love at first sight! It is very elegant and luxurious as well as fragrance and body milk inside! Really pretty set love. Dior is so sophisticated and classy. We share same opinion about Dior! It is one of my favorite brands because all of products are so classy, elegant and luxurious! This sounds wonderful. I'm going to have to see if I can find a sample somewhere to test it out. Thanks for sharing this great review. J'adore is gorgeous fragrance! When you try it I would like to hear your opinion about it and do you love it as much as I do. You are welcome, dear Melissa! Packaging is amazing, I also really love it as well as fragrance inside! J'adore is such a luxurious, elegant and amazing perfume! The bottles are so pretty - little pieces of art - and the flowers, too! Thank you so much, dear Trude! I'm happy to hear that you like flowers and bottles! They are so beautiful! such a beautiful packaging, looks like very expensive. You are completely right, dear Julie. 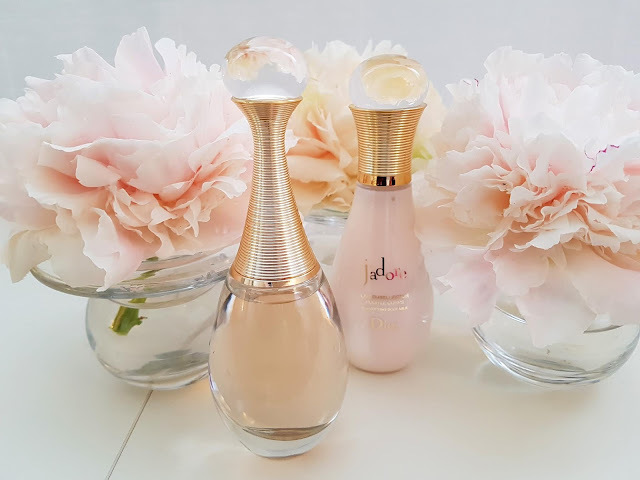 J'adore have very elegant and luxurious bottles! I completely agree with you! This fragrance is so luxurious with glamorous scent! Esse produto parece maravilhoso, adorei o designer. I also love all of make up and skin care products, as well as fragrances from Dior! They are amazing! This is such a beautiful gift set! I love how elegant it looks! When I saw this gift set it was love at first sight! It is really elegant and luxurious as well as J'adore fragrance and body milk inside! Esse aparenta ser um perfume maravilhoso. Thank you so much for your kind words! I'm happy to hear that you like post! J'adore fragrance is gorgeous, one of my favorite! I completely agree with you! It is also one of my favorite fragrance and I adore it! Have a nice day, you too! Thank you so much! I'm happy to hear that you like my photos! That mean a lot to me! This fragrance is really amazing from bottle to scent! I liked to know the story behind the DIOR name. These perfume bottles are pure luxury and I know the perfume and it's really wonderful I would say more is the perfume of God. Love. I'm glad to hear that you find new and useful information in this post! That mean a lot to me! I completely agree with you that this fragrance is divine from bottle to scent! Hi! As always, Dior has fantastic fragances. You are completely right! 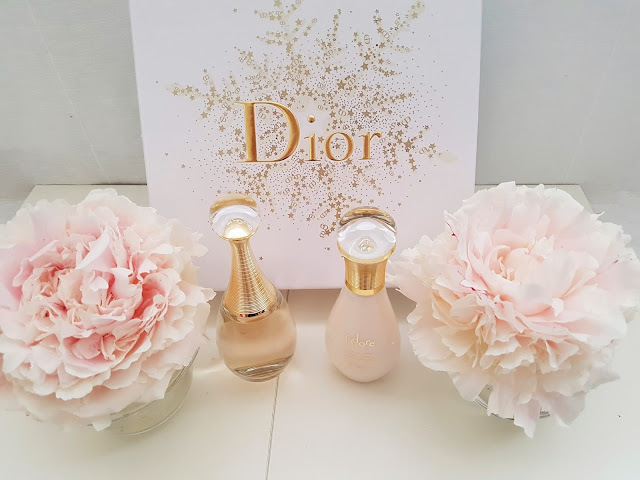 I have a few favorite fragrances from Dior and they are so gorgeous and wonderful! A true classic, beautiful pictures as always. Thank you so much for your kind words! I'm happy to hear that you like my photos and completely agree with you that J'adore is true luxurious and divine classic. We share same love for Dior! I also adore it! Of course, I will check your post about Rome's Fashion Week! These products are amazing, especially J'adore fragrance! It is one of my favorite! Honestly, now I want at least to try it - not only because it would perfectly match with my bag :) Happy weekend! I'm sure that it will perfectly match with your J'adore bag! When you try this fragrance I would like to hear your impressions about it and do you love it as much as I do. I'm happy to hear that you love it! J'adore is really amazing fragrance! Thank you so much for your kind words! They mean a lot to me and I really appreciate it! 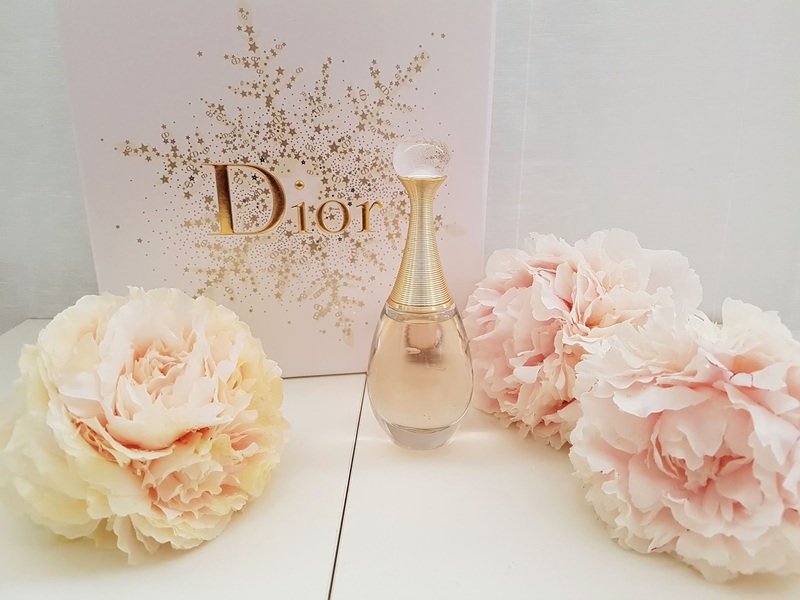 Dior J'adore is amazing fragrance! Such a pretty looking box! I like Dior's products from the bags to the cosmetics and I'm pretty sure this perfume is excellent too. We share same love for Dior because I also adore bags as well as skin care, make up products and fragrances! This one is divine, one of my favorite! The bottle of this is indeed so luxe and beautiful. I love this scent, my cousin does too and it's her "official scent" hahahaha! I completely understand why your cousin choose J'adore for her "official scent". It is so gorgeous, elegant and luxurious from bottle to the scent! Most beautiful Dior set! I love floral scents the most!!! I completely agree with you! This set is divine from box to the products inside! Dior take care about every detail! Such a lovely gift set! Have a great week. Thank you so much! This gift set is so beautiful! 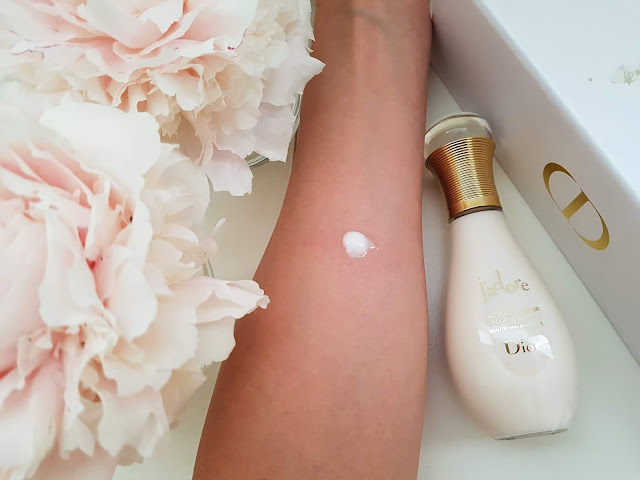 We share same love for Dior J'adore fragrance and body milk! This was once one of my favorite scents! I'm glad to hear that J'adore was one of your favorite fragrances! In this moment it is mine and I wear it all of the time! The packaging is so pretty! Perfect for Valentine's Day! You are completely right! Packaging is amazing and this gift set can be perfect present for Valentine's Day! Thank you so much for your beautiful words! I'm happy to hear that you like photos! That mean a lot to me! This fragrance is gorgeous, when you try it I would like to hear your opinion about it! 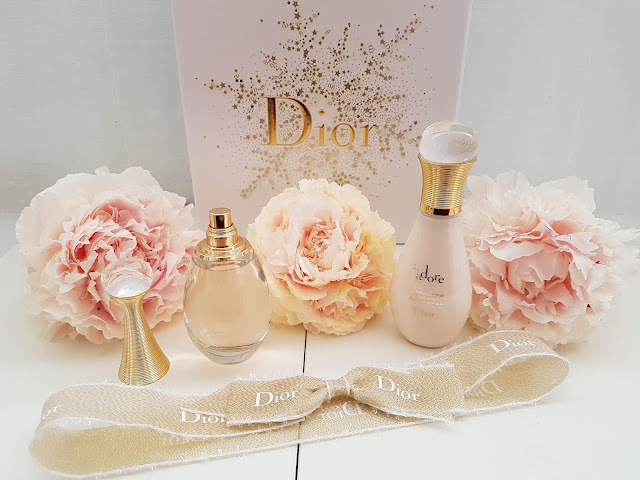 Helpful blog, Lots of information about Dior perfume. Thank you, for providing this information. Thank you so much for your beautiful words! I'm happy to hear that you find new and interesting informations in this post! That mean a lot to me!